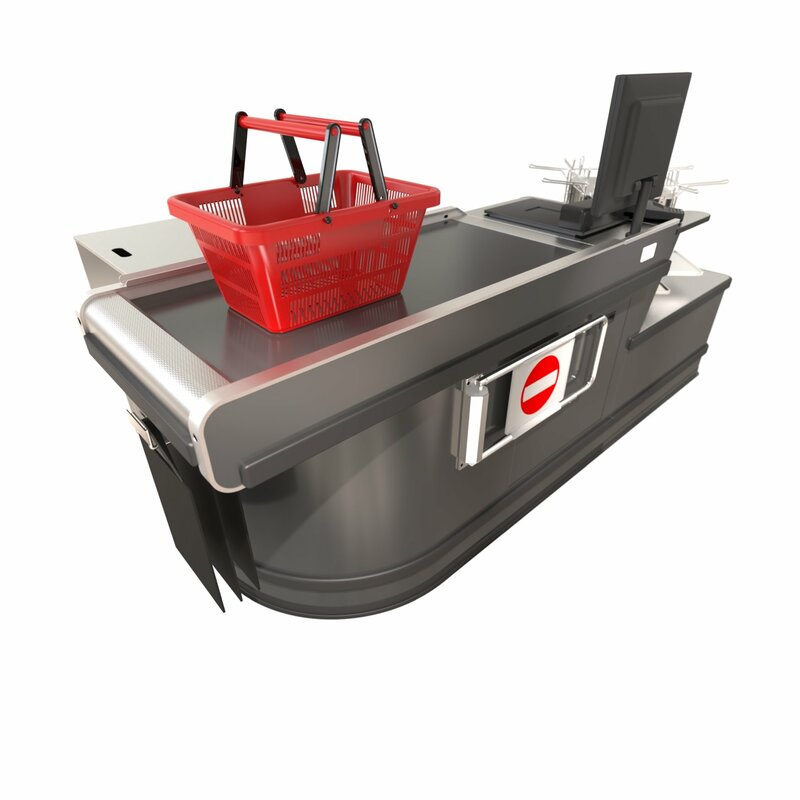 BCGs latest release 2600 Metal Carousel Counter is set to revolutionise the Australian Retail Market. With four bag holders fitted to a rotating carousel, no matter what your customers purchase it will always go in the correct bag! This shorter version allows you to serve high-traffic in tight space. 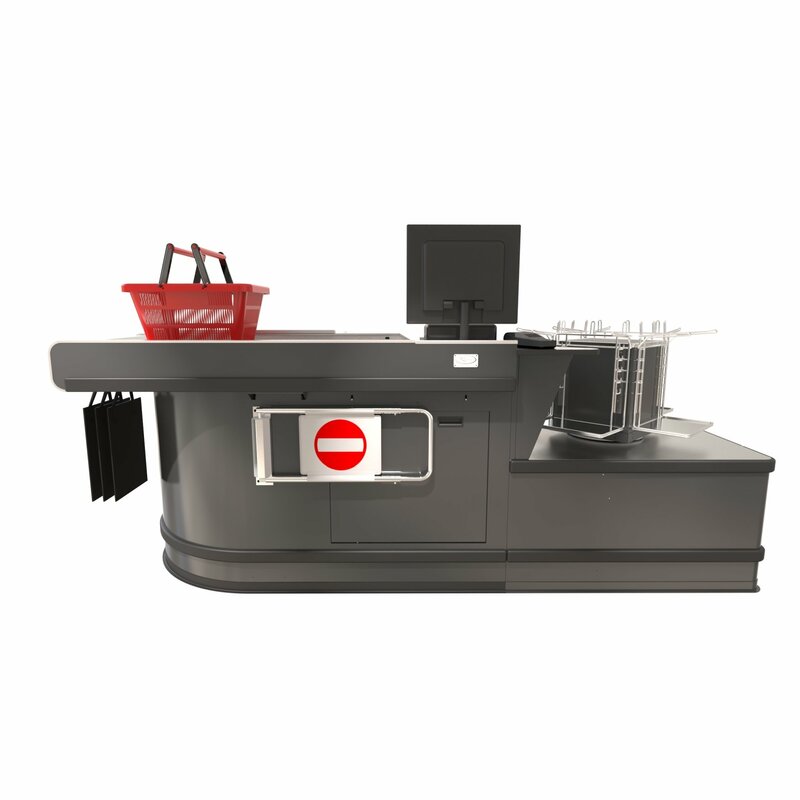 With smooth powder coated metal finish and sleek curved lines this checkout counter will not look out of place in any retail environment, even the most boutique outlet could benefit from this checkout counter and its outstanding design. 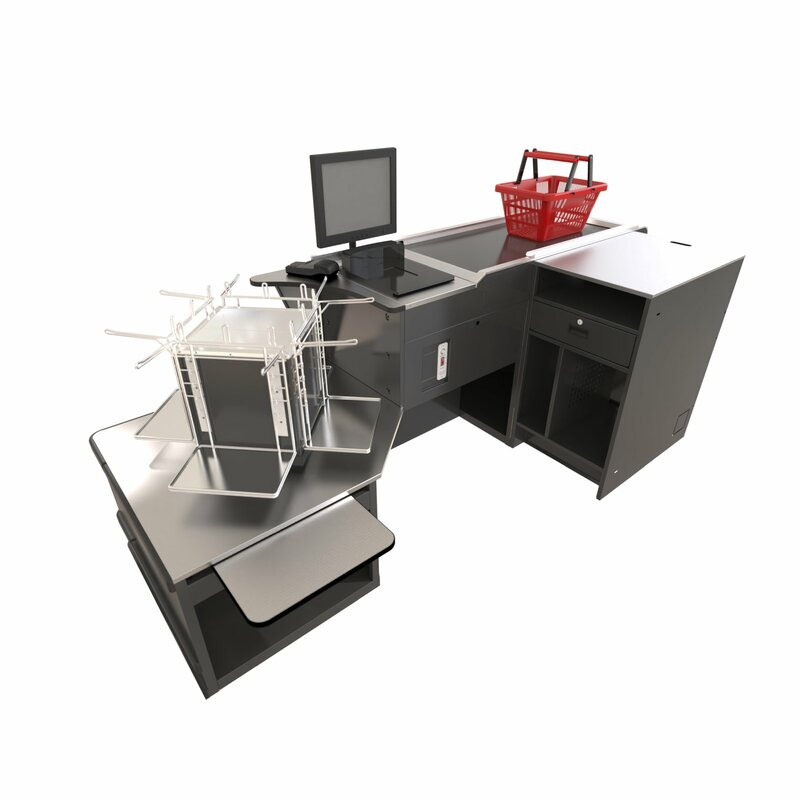 With durable stainless steel top, heavy duty conveyor belts, convenient storage spaces, and smooth powder coated finish, this checkout counter is built to last and stand your store out from your competition. Not just a good looker, this checkout counter has also been designed to be a performer. BCG Metal Carousel Counter is tested through high-traffic retail environment across Australia. It is ready to be fitted with state of the art POS system and optimized for cable management. Available in right-hand, left-hand, and tandem or side by side configuration. Ready for plastic and reusable bags.